26 Games Like GTA (Grand Theft Auto) '+g+"
Check this list of recommendations for open world action-adventure games like Grand Theft Auto (GTA). 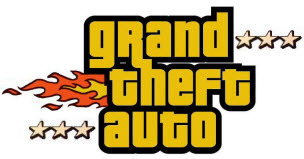 GTA is an award winning open world action-adventure sandbox game series available across different platforms (Android, GBA, iOS, PC, Nintendo DS, OS X, PlayStation and Xbox) and is published by Rockstar Games. The game has drawn attention from all over the world and is one of the universally acclaimed gaming franchises. Most games are set in fictional cities modelled on American cities like San Andreas, Vice City..etc. The game provides a lot of freedom to players with a lot of missions, side quests with occasional role-playing, racing and stealth. Saints Row is a video game franchise created by Volition, Inc. and published by Deep Silver. Typically, gameplay is presented in open world format. Because of the mixture of nonlinear gameplay with action-adventure and racing sequences, the series is referred to as being sandbox style. Total Overdose is an open world action/adventure third-person shooter video game that was developed by Deadline Games and published by Sci Entertainment in Europe and by Eidos in North America. Sleeping Dogs is a 2012 open world action-adventure video game developed by United Front Games in conjunction with Square Enix London Studios and published by Square Enix, released on August 2012, for Microsoft Windows, PlayStation 3, and Xbox 360. Sleeping Dogs takes place in Hong Kong and focuses on an undercover operation to infiltrate the Triads. The Mafia Series is a series of games about the American Mafia. It currently consists of Mafia: The City of Lost Heaven and Mafia II, however, Take 2 has revealed that a third game, Mafia III, is currently in the making. The series is developed by Illusion Softworks, now named 2K Czech after being bought by 2K Games. Both games were developed in the Czech Republic and published in several languages, including English, Spanish, German, Russian and Czech. Scarface: The World Is Yours is a video game developed by Radical Entertainment and published by Vivendi Universal Games. The game is based on and is a quasi-sequel to the 1983 motion picture Scarface starring Al Pacino reprising his role as Tony Montana, with André Sogliuzzo providing Montana's voice. It was released on the PC, PlayStation 2, and Xbox on October 8, 2006 and on Wii on June 12, 2007. Bully,....if you can think of more, then don't forget to mention it in comments.